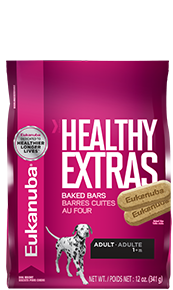 Eukanuba™ offers super premium nutrition to helps dogs achieve their mental and physical best. 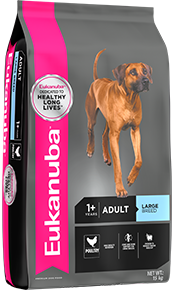 With high quality ingredients, you can be sure your dog is getting a balanced and complete diet to support their life stage and lifestyle. High quality animal-based protein, providing a complete source of essential amino acids. 3D DentaDefense™ in all adult diets with a dual action cleaning benefit using crunchy S-Shaped kibble and specific minerals to help reduce plaque and maintain strong teeth. 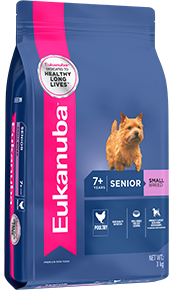 Tailored levels of Omega 3 and 6 fatty acids to help maintain skin and coat health. Beet pulp and prebiotics for digestive support. Antioxidant blend to support natural immune defences. 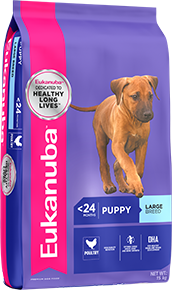 Puppy diets - clinically proven levels of DHA to help support brain development for smarter, more trainable puppies.